Local rights activist Rateb Jabour told Wafa that officials from the Israeli ‘Planning and Construction Committee’ entered Tuwanah village alongside the Israeli military, to deliver the notices. 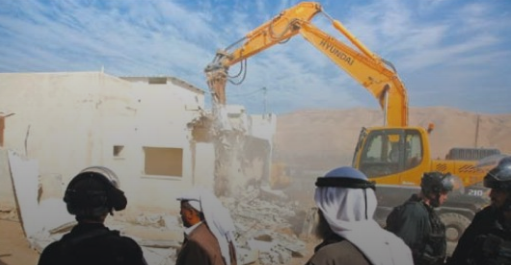 Locals of Beit Jala town, northwest of Bethlehem also reported similar notices from Israeli forces for the demolition of animal barns, citing again the lack of permits. The Israeli authorities have long made it difficult for Palestinians in the West Bank to obtain a ‘permit’ to build, forcing many to build without. The Israeli regime intends to displace the indigenous Palestinian people to replace them with illegal colonists. Israel provides roughly 550,000 illegal Israeli settlers living in the West Bank with housing, roads, electricity, water, and sewage systems, in contrast to denying Palestinians the same, in a racially discriminatory manner. This double standard is especially pronounced due to the fact that the Israeli colonial settlers are living on land that was illegally seized from its Palestinian owners. Under the Oslo Accords of 1993 & 1995, 60% of the area of the West Bank came under absolute Israeli military control, both Tuwanah and Beit Jala villages are both in area C.